World Wide Waftage - Wafting Through Our World Wide Travels with Ease, Joy and Simplicity: Another new beginning...Hello, Waikiki for 11 nights! Final cruise bill! Interesting financial facts...A year ago today, first day on safari...Check out the photos! Another new beginning...Hello, Waikiki for 11 nights! Final cruise bill! 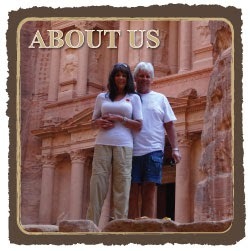 Interesting financial facts...A year ago today, first day on safari...Check out the photos! 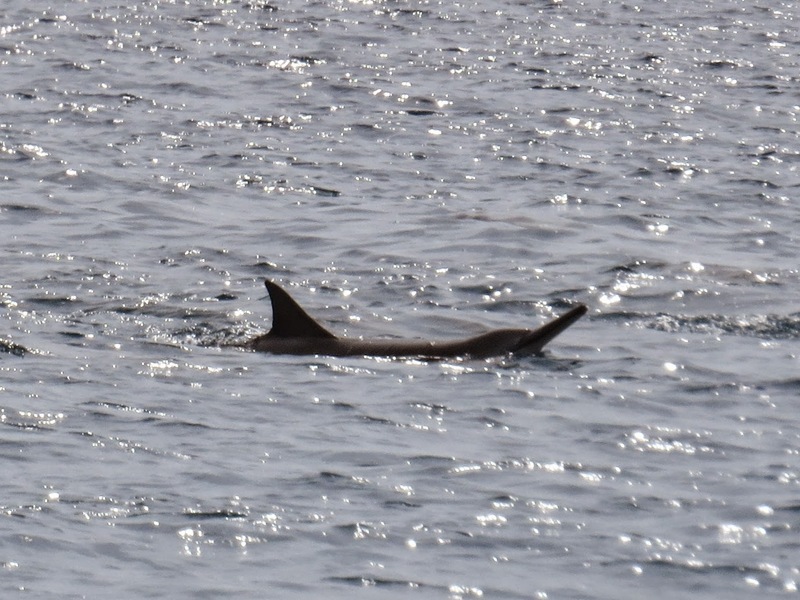 A Bottle Nosed Dolphin we spotted from the ship! As we hear the grumbles of frustration from many passengers that are disappointed that the cruise ends today, we keep our mouths shut, shaking our heads in understanding. Nothing ends here for us for us today by way of leaving the Celebrity Solstice. We have 11 nights in Waikiki in an ocean view condo with a washer and dryer in the building! Yippee! What more could we ask for? Shops and restaurants in Kona. No, it doesn't feel like a vacation spending almost eight months in Hawaii. It now feels like a good life, leaving little time or circumstance resulting in boredom or a sense of the mundane. How will we ever settle down when we so love this life of constant change and challenge? We intend to continue on until we can't, old age being the unavoidable obstacle and eventuality. As the tender approached the pier in Hilo, there were swimmers at the beach. Today, we'll play our usual role of "cattle" herded off the ship with assigned numbers and times, making our way down the ramps to the street where hopefully, we'll quickly find a taxi to take us to our resort hotel in Waikiki Beach. Check in time isn't until 2 pm. We'll wait in the lobby, more easily entertaining ourselves with a stronger (hopefully) WiFi signal while we commence to prepare Monday's post with photos galore. Restaurants lined the shore in Kona. We have no delusions about the crowds, the traffic, the noise and the smells of fried foods (as mentioned by daughter Tammy about Waikiki). None whatsoever. After all, since July 31st, we've been in Paris, London and Vancouver for 16 nights, 15 nights and 6 nights, respectively. We know and accept the annoyances of big cities. But, we always find ways to entertain ourselves, seeing the sites we prefer to see, taking photos, writing here each day, eating the local foods (that which I can eat and which Tom will like) until 11 days later, we'll head to the blissful quiet of Maui, away from the usual tourist locations. Afternoon sun in Maui, from our veranda. Our final bill for this cruise excluding the fare was $805.88. The fare for this 12 day Hawaiian cruise, Vancouver to Honolulu was $4116.02 which included tax, $288 tips, $175 on board credit for a grand total of $4921.90. The average cost per day including all costs was $410.16. Had we lived in a vacation rental for 12 days with a rental car, groceries, dining out and other miscellaneous expenses, our cost would have been roughly at $200 per day for a total of $2400. Adding the cost of airfare to reach Hawaii from any location could easily have been another $2000 for a total of $4400 for an average daily cost of $366.67. In essence, the cruise cost us an additional $521.90. The benefit we enjoy is the fact that we don't have to pay for home sitting empty with all of its expenses, while we're on "vacation." Kaanapali Beach, Maui, the famous strip of hotels and resorts along the coveted popular tourist attraction. Years ago, BT, I visited this location on several occasions when long hours in the sun and late night fun were on the agenda. Not so much of that now. Here we begin, dear readers, another leg of our journey with no end, only two months from seeing our family at long last which ultimately was our primary motivation for visiting Hawaii at this time in our travels. Tomorrow, we'll be back with photos of our new temporary home, basically a hotel room with a tiny kitchen which will easily fulfill our needs during this short 11 day stay and of course, our first photos of Waikiki Beach, as we breathe in the smell of the ocean air, flowers and fried foods. Our first day on safari in the Masai Mara, Kenya. This scene was our first while we waited nearby the airport for other safari participants to arrive to drive to the camp with us. Anderson, our tour guide throughout the adventure, decided to take us for a quick peek while we waited the 45 minutes. We couldn't believe our eyes but, it was only a taste of what was yet to come! For details and many more exciting photos, please click here.